Should I Invest In Bahria Town Phase 8? Bahria Town does not lack the resources to carry out swift development work. I, myself, have witnessed the developer’s capabilities in Bahria Town Karachi, which I toured last year. Initially, I thought that Bahria Town moves its machinery from one project to another according to its development plans but I have learnt lately that the developer has the capacity to simultaneously work on multiple projects. 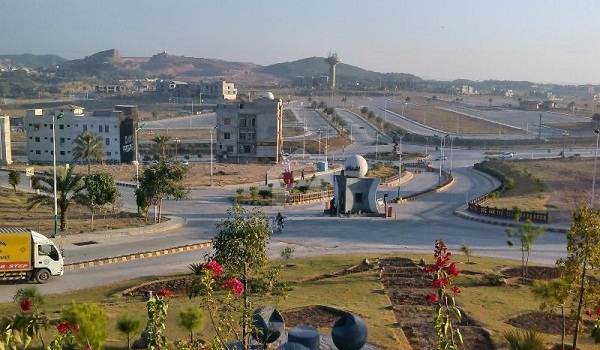 After all, in Rawalpindi and Islamabad, the developer is currently dealing with DHA Valley, Bahria Enclave I and Bahria Town Rawalpindi’s Phase 8 – all at once. Those keeping an eye on these projects are quite satisfied with the pace of development work. Focusing on Phase 8 alone has convinced me that possession of plots in many blocks will be offered by the end of this year, or maybe even sooner. Moreover, the steady price appreciation observed in the rates of residential plots in developed blocks suggests that current activity rests on factors far stronger than mere hype created by a group of investors. In developed blocks where possession is available, many houses are already under construction. The addition of commercial attractions, complemented by speedy development work, will probably keep things exciting for Phase 8 plot owners for a while. During this time, I suggest investors and genuine buyers keep a tab on the rates of plots for sale in Bahria Town Phase 8 Rawalpindi. In Phase 8, property possession is available in Blocks A, B, C, D, E, F-1, G, H and I. Rates in these blocks are, of course, higher. Houses are under construction and many families are already enjoying the great facilities this project offers. Moreover, property possession also available in Overseas Blocks 1 to 7, which lie next to Block A. Furthermore, Safari Valley, which is located in the centre of Phase 8, is the most developed project you can find in this phase. This project is 100% developed and 50% inhibited and possession is available throughout. Property possession is pending in in Blocks F-2, F-3, F-4, F-5, J, K, L, M, N, and P and development work is underway at an impressive pace. Development work is 60% complete in F-2, 80% in F-3, 90% in F-4, and just 20% complete in F-5. In Block P, Bahria Town has done 90% work. Blocks J and K are 40% developed and Block M is almost 65% complete. Property possession is also pending in Bahria Awami villas and apartments. This pace of development suggests that these blocks will be ready for possession handover in another 6 months. As plot demand will increase as soon as this happens, we can safely assume that these blocks offer good short-term investment opportunities. There is a difference of almost 80% in the price of plots in blocks with and without possession. In the medium term, plots awaiting possession can safely meet this difference. Blocks where possession is expected soon are those that are more than 50% developed, so naturally one should invest in Blocks F-2, F-3, F-4, P and M.
That’s about it, folks! If you need more information about investing in Bahria Town Rawalpindi’s Phase 8, as well as contact details of an agent you can deal with, leave a comment below.